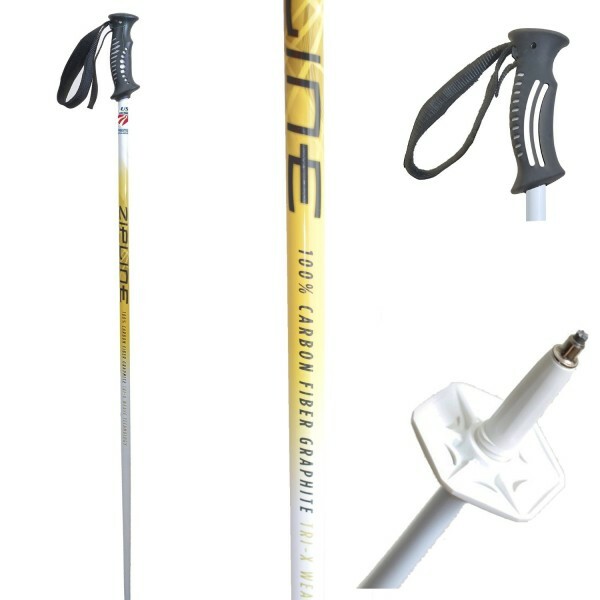 The Nordica Mens NRGY 90 is a lightweight ski model that has been received fairly well by ski lovers around the world. Despite feeling light on your feet, the Nordica Mens skis are quite easy to maneuver and offer great capabilities in varying conditions. As part of the all new NRGY series by renowned makers, Nordica, the 90 mm ski is a prime example of a highly functional and practical ski. 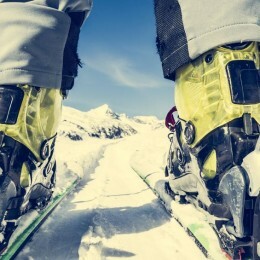 Founded in 1939 by the Vaccari brothers from Italy, Nordica transitioned from manufacturing casual footwear to ski boots. As of today, it is one of the biggest brands in the ski industry, and a mainstay in downhill ski racing and freestyle competitions across the world. The Nordica Mens NRGY 90 Ski is a top model that epitomizes Nordica’s trademark approach in producing models with greater stiffness that suit strong skiers. 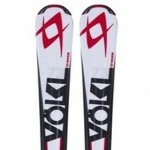 These skis are widely acknowledged as one of the best selling ski series and the 90 Skis is definitely a great addition. Let’s take a review at the specifications, features, and pros and cons of Nordica Mens NRGY 90 Ski and see how it ranks among the popular skis of today. 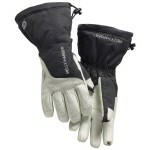 The Nordica Mens NRGY series features different waist widths models. Featuring the state of the art Torsion Bridge Technology, it boasts a Titanal sheet with strategically cut geometric shapes that account for torsion rigidity and weight reduction. 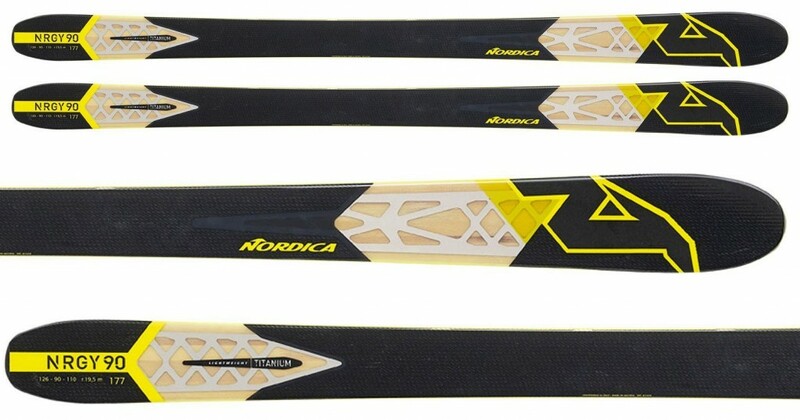 This makes the Nordica Mens NRGY 90 ski very lightweight, versatile, and stable, all at the same time. The Nordica Mens Skis are renowned for their freestyle board design and the NRGY 90 ski is a prime example of that. The tip shape is borrowed from Nordica’s popular free ride skis and has a tapered tail with the tip rocker sporting a full wooden core. 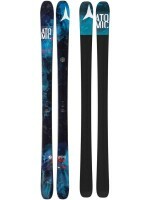 This makes the NRGY 90 skis easy to maneuver on soft snow. 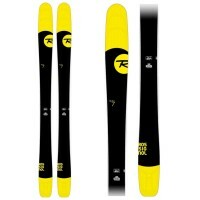 Despite being one of the more affordable Norica Mens skis in recent years, the NRGY 90 skis offers great capabilities. For starters, they’re one of the quickest models in the price range and are ideal for hard snowboarding and showboating with their generous width. The rebound force is fairly manageable with the sleek design and the side cut allows fast traveling down the hills in long arcs. In other words, it’s fast, it’s furious, but at the same time, it’s quite light and flexible! The Nordica NRGY 90 is an ‘all-mountain’ ski, but don’t take it as a ski that is practically average in all aspects, as expected from models marketed as ‘all-mountain’. 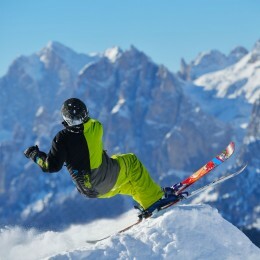 As of today, the all-mountain models are counted as quick, nimble, and easy to hand skis. 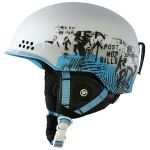 The NRGY 90 ticks all the boxes and much more with its versatile 90 mm waist and the Mountain Camrock profile. The All-mountain camrock profile allows skiers to rally across mountains in traditional camber underfoot and rocketed tip. However, as we all know, a ski is only as good as what is on the inside. This is where these skis flourish with their lively wood I-Core Ti core that provides greater stiffness from edge to edge to maintain the fore-aft flex. With the four layers of durable ABS sidewalls, prepreg laminate, and sintered UHMW base, what you have is an all-action all-mountain ski ready to hit the hills! The Nordica Mens NRGY 90 Skis is becoming a hot property in the market with its i-Core Ti engineered technology. The All-mountain Camrock pushes the contact point by around 25% to create the slight tip rocker that goes well with the camber under foot. 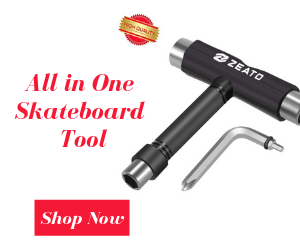 In simple words, you get increased velocity, maneuverability, and floatation on soft snow and improved control in various, unforgiving conditions. 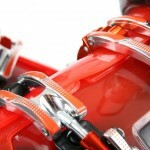 The i-Core Torsion Bridge Ti is becoming a mainstay in the next generation All-mountain skis manufactured by Nordica. The revolutionary construction featured in the NRGY 90 skis makes it an inspiring model with great torsion in all terrains and conditions. 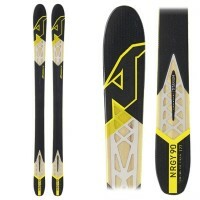 The Nordica Mens NRGY 90 Ski features four carbon laminates and polyamide top sheet for sturdy and lightweight design. Medium turning radius – maneuverability is not easy at high speeds. 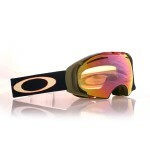 Rigidity – the sturdy construction makes it impractical for freestyle skiing. While there haven’t been as many complaints regarding the Nordica Mens NRGY 90 skis, many users have voiced their concern over the limited warranty. 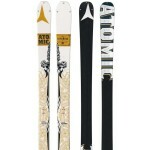 As it is, parts of these skis are fairly expensive. 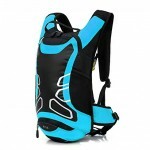 However, the durable construction of the ski means that you won’t have any troubles with the hardware and parts anytime soon. On top of that, with such an affordable model, we really shouldn’t be complaining about the warranty. Overall, the Nordica Mens NRGY 90 skis is a perfect model for intermediate to advanced skiers who wouldn’t mind speeding down hills and leaving piles on snow on casual watchers while they make sharp turns. The Nordica Mens Skis series is one of the landmark skis of the year and will definitely play a part in the next generation all-mountain skis that Nordica anticipates to develop. Our Score – 3.8 out of 5!